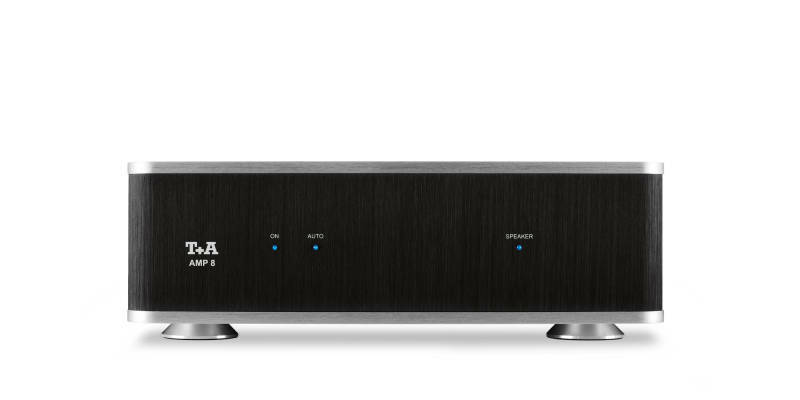 In order to take full advantage of the enormous sound quality of the DAC 8 DSD, an extremely good amplifier is required, which is uncompromisingly constructed and equipped. 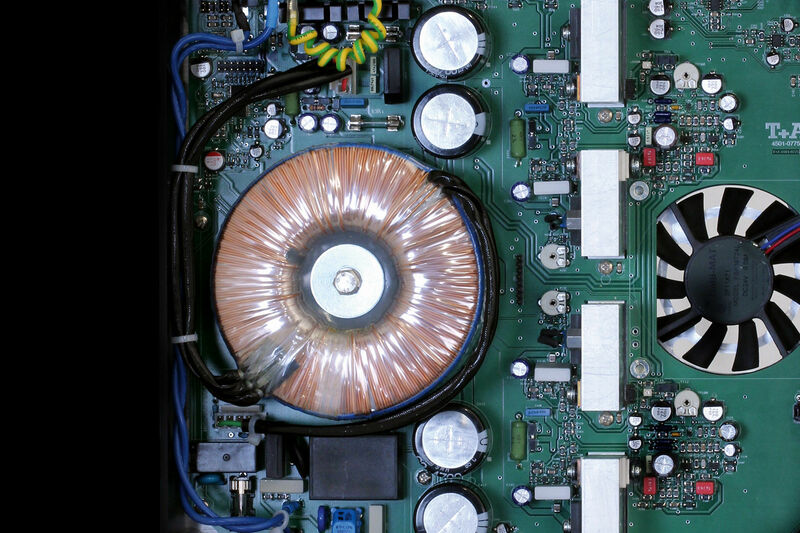 This is why the AMP 8 is based on the circuit and design technology of our HV and R-series amplifiers. The design is fully symmetrical and the output stages are equipped with high-performance ThermalTrakTM audio transistors. A cleverly programmed mikro-processor monitors the AMP 8 and controls the protection circuit, which switches of the output relay in case of a short circuit, overheat and overload. One must not be deceived by the small housing size, the AMP 8 can deliver due to its extremely stable power supply more than 100 watts of continuous output power in the highest quality. The slow-running cooling fan is silent, and is controlled by the micro-processor according to load and temperature. The AMP 8 sounds sensational: vigorous, dynamic, high-resolution yet delicate, subtle and audiophile. The combination of DAC 8 and AMP 8 sets new standards far beyond its price class.